Many cats and dogs prefer to drink from running water sources, so a water fountain is an easy way to help increase their water intake. 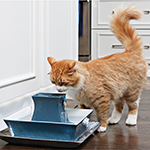 The Drinkwell Pagoda Pet Fountain is made from hygienic, easy to clean ceramic and features two drinking streams which add oxygen for freshness. 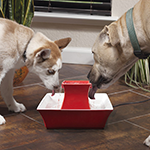 With an upper and lower drinking area, this pet fountain is a good option for elderly or arthritic pets who may prefer drinking from an elevated surface. 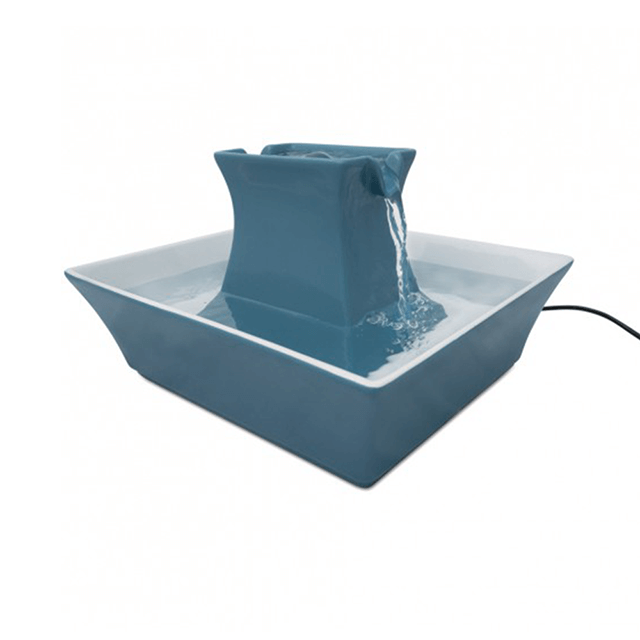 The Pagoda Pet Fountain has a submersible pump for quiet operation, charcoal filter to remove odours and flavours, and foam filter to keep water free of hair and debris. Since their beginnings in 1991, Petsafe have strived to create products that are aimed at strengthening the special relationship between people and their pets. Their in house team of engineers is constantly researching, testing and developing products in consultation with pet behaviour experts and veterinary professionals to help ensure and foster pet safety, health and happiness. Looking for a different kind of water fountain? Check out our full range of water fountains and automatic waterers for pets. Need an automatic feeding solution for your pet as well? 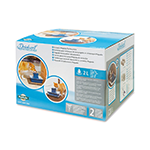 Have a look at our selection of automatic food dispensers for dogs and cats. Read more about increasing your cats water intake.